“The Voice of Memphis Wrestling” – Lance Russell, dies at age 91. Lance Russell was a legendary announcer whose smooth, easy-going style made calling matches look easy, but as anyone who’s heard bad commentating can attest, it’s far more difficult to call matches than it seems. Russell spent the majority of his career in Memphis Wrestling, yet earned a worldwide reputation as one of the greatest wrestling announcers of all time. That Lance Russell’s name is spoken in the same breath as Jim Ross and Gordon Solie is a testament to his work, and like these two announcers, he was equally gifted as a stick man, capable of getting a good interview out of even the most marble-mouthed of wrestlers. Would You Like to Announce Wrestling Matches? Lance Russell was born on March 18, 1926 and grew up in the small town of Jackson, Tennessee. Lance Russell interviews a newcomer by the name of Hulk Hogan. Memphis Wrestling, 1979. Although Russell’s legend grew out of his work in Memphis, he started calling matches in his hometown of Jackson when promoters Nick Gulas and Roy Welch started a new wrestling program. Russell found he enjoyed the gig, and that was the beginning of a storied career calling matches. In addition to calling matches, Lance Russell worked as a programming director, analyzing demographics to better understand his audience. 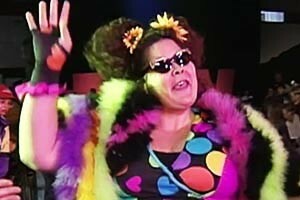 This led to a revolution in wrestling programming. At the time, Memphis wrestling aired on Saturday afternoons, but was often preempted by shows such as Wide World of Sports. Russell decided to air wrestling at 11am, against Gulas’ wishes. Russell’s move paid off with Saturday morning wrestling becoming a fixture in Memphis, achieving unheard of ratings and leading to other promotions following his programming lead. Saturday morning wrestling became the norm, thanks to Lance Russell’s vision. The two formed a remarkable announce team as well as a life-long friendship. Russell also helped Brown become the local weatherman, a career he continued for decades. Lance Russell played an integral role in Jerry Lawler’s entrance into Memphis Wrestling. The duo remained close friends behind the scenes. However, Dave Brown wasn’t Russell’s only tag team partner. Russell helped a young artist by the name of Jerry Lawler share his cartoons of wrestlers on air. This led to Lawler eventually stepping into the ring and becoming a wrestler. Eventually Lawler became “The King of Wrestling” as the area’s top star and an eventual color commentator for the WWE. During his time as a heel, Lawler taunted Russell by calling him “banana nose,” but behind the scenes the two men became lifelong friends. 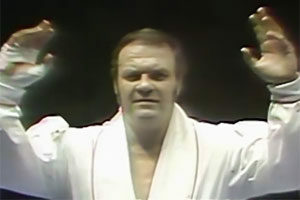 In a promotion surrounded by some of the most off-the-wall performers and the home of some of wrestling’s most insane matches (the scaffold match is believed to have debuted in Memphis Wrestling), Lance Russell did his best to sell angles, show his disdain for heels’ reprehensible deeds, and wrest good promos from wrestlers with limited mic skills. Lance Russell also called matches every Monday from Memphis’ Mid-South Coliseum, making him the voice of Memphis Wrestling. Although Lance Russell spent the majority of his career calling matches in Memphis, his remarkable announce style led to national fame during the 1980’s. The proliferation of VCR’s in the 1980’s expanded the practice of tape trading, allowing wrestling fans to see action from all over the country. Lance Russell’s popularity grew as a new fanbase embraced his distinctive style. 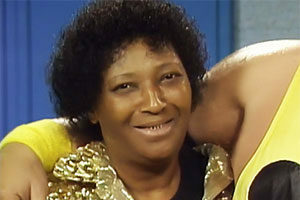 Russell called some of the promotion’s biggest matches including the Tupelo Concession Brawl and the “Empty Arena Match” involving Terry Funk and Jerry Lawler. 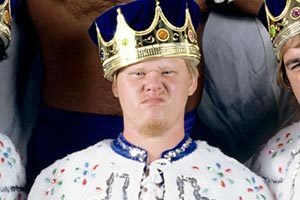 Lance also benefited from the national exposure Memphis enjoyed during Jerry Lawler’s feud with entertainer Andy Kaufman. As always, Russell played the role of the long-suffering peacemaker, trying to maintain order in an already chaotic environment which turned into an abyss thanks to Kaufman’s presence. 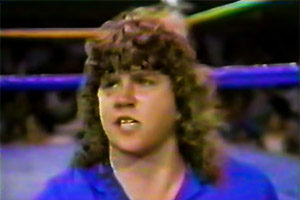 Russell gained further exposure from the Lawler/Kaufman feud thanks to I’m From Hollywood, a documentary chronicling Kaufman’s foray into Memphis. Eventually, World Championship Wrestling (WCW) took notice of his many talents, bringing Russell into the promotion in 1989 to serve as an announcer. In addition, Lance Russell produced WCW’s 1-900 hotline during the 900-number heyday. He eventually returned to Memphis where he continued calling the action. Lance Russell was well-respected in his community, both by his co-workers, his family, and the members of his church. 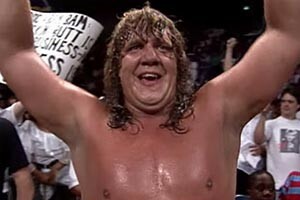 His achievements earned him various industry awards including inductions into the Pro Wrestling Observer Newsletter Hall of Fame and NWA Hall of Fame. Additionally, he taught Sunday school for years, with at least one of his students going on to become a broadcaster. Lance Russell with WWE chairman Vince McMahon. Lance Russell retired to Pensacola, Florida where he lived with his wife Audrey, who passed away in 2014. Tragedy brought him back to Memphis when his sick daughter Valerie succumbed to cancer just days before Lance’s death. Lance’s son asked for prayers for his dad, who he said had been suffering from health issues. Russell fell and broke his hip while in Memphis. Lance Russell passed away on October 3, 2017 from complications related to his hip fracture. Lance Russell was 91 years old at the time of his passing. Do you think Lance Russell was the best wrestling commentator of all time? Sound off in the comments section below.